DP-005 showing size compared to 9V battery. DP-005 with cover removed. Cable in strain relief collet. Sensing of direction will be as shown by the arrows above. The DP-005 is 1.1 inch (28mm) deep, 2.4 inch (61mm) wide, and 3.3 inch (84mm) long with mounting flanges extending to 4.3 inch (110mm). The DP-005 digital direction sensing pyroelectric infrared motion detector is designed to detect infrared radiation (IR) from a moving human or animal both in daylight and at night and to indicate the direction of movement. The circuits are housed in a plastic enclosure with a Fresnel lens mounted in its cover. It includes dual digital pyroelectric infrared sensors, a microprocessor and two output transistors; one for each direction. 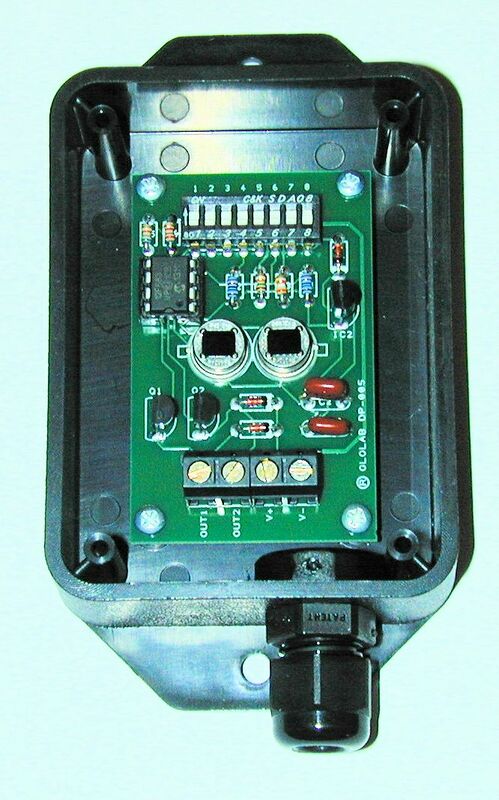 An on-board voltage regulator powers the circuits and accepts an external 4.5 to 15 volt DC power supply voltage. The output transistors within the DP-005 can sink up to 200 milliamperes each to directly drive relays, light emitting diodes or other loads. The outputs can also be fed into a logic or timing circuit to add specific functions such as robot control and counting. 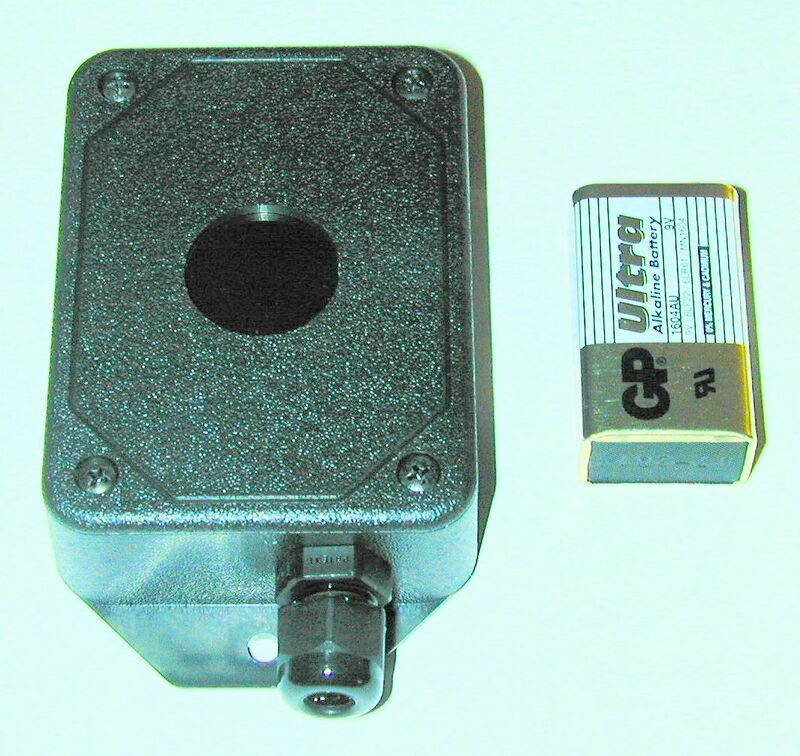 The Glolab DP-005 uses two Digital infrared detectors. This new technology incorporates a sensor, amplifier, filter, A/D converter in a TO5 package. Unlike typical analog pyroelectric sensors, the digital sensor outputs serial data pulses that represent the amplitude of detected infrared radiation in digital form. 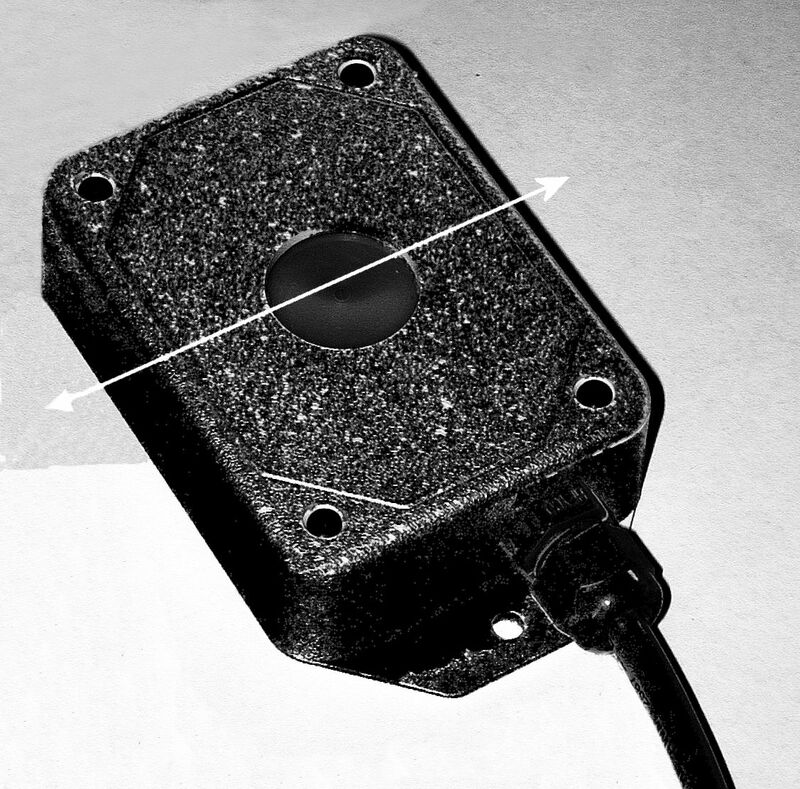 Since all of the amplification and signal processing is done within the sensor package, the detector has very high immunity to RF radiation from cell phones and other sources. Below is a block diagram of the DP-005. Power is supplied to the digital pyroelectric sensors and to the processor through a micropower voltage regulator. The processor decodes serial bits from the sensors and turns an NFET transistor on when motion is detected. The amount of time that the NFET remains on (dwell) can be programmed. Detection sensitivity that affects detection range can also be programmed. Programming is done by on-board DIP switches. The DP-005 is supplied with default settings of medium sensitivity and 1 second dwell time. A diode is connected from each output to +V to suppress voltage transients from inductive loads. A resistor is required in series with the LEDs to limit current. The resistor value can be chosen for the power supply voltage and the desired LED intensity. Only one LED will be on at a time. Outputs can be connected (jumpered) together for bi-directional sensing. The DP-005 can also be programmed for distinctive output patterns that indicate direction even when only one LED or other output indicator is used. This diagram shows a piezo buzzer being driven from jumpered outputs. It can be programmed to produce three short tones in one direction and one long tone in the other direction. and view or print a complete manual for the DP-005 module. Manual includes functional description and application diagrams.